Victorian London is a playground, provided you are the right sort of person. Jack Snide has put a lot of effort into being exactly this type of person, and now it’s all about to pay off. One final job, the score that will set him up for life and, ironically, it’s entirely legal. Well, perhaps not entirely. Buying up a big part of the city does require money, a lot of it, and getting that amount of scratch together has been a little… tricky. But, ostensibly, it’s all above board. It’s almost like he’s a good person. But when a mysterious trio of women assault his partner — shady police constable William Mandragon — he finds himself drawn into something larger than he can understand. But that’s all right, there are things out there that understand a hell of a lot more than he or any other man, and they have designs on London. Crisp, white, good quality. With the right ink he could make this work, given the time. Although the sheer volume of the stock did give him some cause for concern. Lightly was, as all bankers were, a man of less than imposing stature, but unlike his contemporaries he was difficult to read. This was why he was allowed an audience at all; never trust a man who is poor or overly skilled in deception, it is the median man who slips through the nets cast by the Peelers. ‘There is no subterfuge in banking, sir. We are decidedly upfront in our dealings. One can hardly be blamed if the people who happen to fund our work don’t care to take an interest in what it is we do.’ He took off his half-moon spectacles and wiped them with a handkerchief from his pocket as though he was emphasising his point. Snide was unimpressed. He had never been one for theatrics. It used to be easier to be a deviant, Snide remembered. Small time stuff, the things that barely got you enough to feed you for a night, needed no planning, no effort. One could strike out into the mist and rip a coin purse from a belt, brandish a blade at a toff in top hat and tails, then skulk off to enjoy the plunder. And if you made a hash of things, the Peelers would only bang you up for a short time, and you still got free food out of the bargain. But ambition is the curse of the intellectual, and escalation is its blade. One could not merely stay on the bottom rung, with contemporaries far too numerous and irrelevant so as to mask any attempt to build the most important of things, a reputation. At times like this, high risk endeavours and suchlike, Snide missed the days when he didn’t have to worry. But he could never go back, and now if the Peelers nabbed him he was looking at hard time. It was a fine motivation to keep him at the top of his game, if nothing else. Lightly had been waiting patiently while Snide looked over the sample. Another sign in his favour. The man was exactly the right amount of flustered to be legitimate. And if he wasn’t, it was hardly as if buying surplus paper stock was a crime. It would be sufficient for the filth to start smashing in his doors, but he’d have time to pack up shop most likely. If worst came to worst. Snide nodded at an underling – Harold or Henry or some other H name – who pottered off and returned with a dark green box. He presented it to Lightly and opened the lid. The banker studied the contents for a moment. ‘There’s no need to threaten me, Mr Snide –’ Lightly began. Lightly packed the briefcase full of notes, stuffing what was left into his breast pocket. When he was done, he politely bowed his head and shuffled out into the night. Snide dispatched the underling to make sure the gentleman found his way home unmolested by other night stalkers. London was perilous enough in the daytime, and while Snide had no intent on making it any safer he at least requested his clients be allowed as few opportunities as possible to legitimise a betrayal. Reaching into his breast pocket again, Snide produced a steel cigarette case and a match box. He lit up and took a couple of drags and then returned the case and box to his pocket, brushing the other, more immediately deadly occupant with his hand. 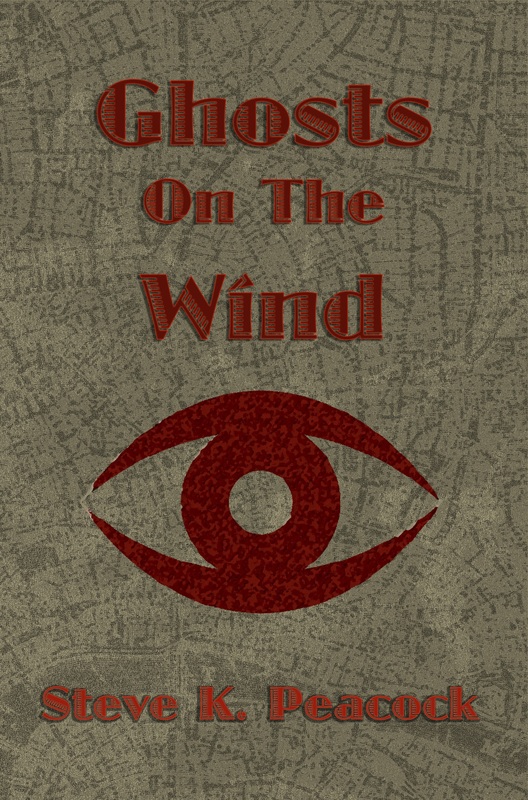 The smoke spiralled in the dim light of the empty building, gas lamps from the street outside cascading through cracked windows being the main source. It was why Snide had chosen that place for the meeting, it looked like the sort of place crime would be conducted. While the deal itself had been completely legal, it would allow the undertaking of such a grand crime that he had felt it prudent to ensure Lightly was fully aware of the fact. Not out of some sense of morality, but purely so that the threat he had most definitely not mentioned would be taken seriously. Snide was not a violent man, but he was a man alone in such beliefs. Or at least it seemed as such. If he could achieve his aims by any other method, then that was the method he would take, but he was no fool. Crime and violence went hand in hand in London, or blade in back perhaps, and he had long ago decided not to shy away from it if it became necessary. As long as Lightly was aware of that, all was good. He finished his cigarette and launched it into the darkness, the tiny red glow sparking a little as it bounced off a woodworm-riddled crate and once more when it hit the floor. A boot snuffed it out and a man in the smartest suit a policeman’s salary can afford stepped out. Mandragon strode through the dust and opened the door for Snide, who shot him a polite glance and stepped out into the cold. There was always a fog or a mist ready to greet you – from the evocative mist of Shakespeare to the impenetrable fog of Dickens – and it never failed to bring with it a chill. Seeing the spectres of other London denizens shifting through the fog made a man feel insignificant and invisible, which was perfect for a man like Snide. Cigarette lighting the way, he put boot to cobble. The native chill of the city was diminished by his whiskers, worn exactly for this reason, though what bare skin remained stung as he walked. But it was bracing rather than arduous. There were more pleasant places to live, warmer and more welcoming, and he could certainly afford to uproot and make a new life for himself in India or the like, but that would require leaving London. The place was dismal and polluted and decidedly deadly if you weren’t careful, but it was wholly unique in keeping the mind sharp. Few places could boast such a trait, even the Americas were lacking in that distinct coagulation of hopelessness and opportunity – one of the many contradictions that made London London. The other was the way that one found lodging. In theory, landlords were the ones with the power. They owned the buildings and they charged the rents, and the tenants either paid them or found themselves out in the gutter with the other effluence of society. But Snide had never been one for leaving a theory untested. Not one for owning property outright – that left a paper trail, and the last thing a man in his position needed was for the Peelers to be able to find him just by asking some bespectacled fop in a dusty office – Snide had taken rooms in a house not far from the docks. He needed to be close enough to visit his various businesses, but not so close as to be caught in any eventual dragnet. The journey to said building was timed in cigarettes, and he had polished off three by the time he arrived at the door, lighting the fourth as he kicked the door in. The wooden door always swelled into its jamb of a night, the moisture in the air invading the ageing oak, and a swift administration of pressure was required to shake it free. It was part of the charm of the place that had attracted him so. ‘She ain’t in, Jack,’ replied the darkness. Lucy McConaughy, daughter of Snide’s landlady was, it was said, an infamous harlot. That was one of the other charms of the establishment. She had rather a mouth on her for a young lady of barely seventeen years and, coupled with her current status as having yet to be broken upon the wheel of male dominance, was nothing short of interesting. And her position on the benefits of negotiable affection had its uses too. Today, it seemed, was not one of her hunting days. Dressed as she was in comfort – loose-fitting but warm cloth, loose hair, little in the way of make up – she looked her age rather than, as she so often did, completely ageless, a waxwork automaton of illicit promises. He bowed his head in deference and made up the stairs to his rooms. The house itself was not in the best of repair, but Snide had kept his areas in good nick, to the point where entering what he classed as his sitting room was like passing through some otherworldly door into a whole different part of London entirely. Carpets and upholstery of regal colour, if not perhaps quality, drew the eye away from the vast table in the corner that was flanked by lamps and covered in papers. His war desk, as he had come to know it. A cushioned chair lay on the floor by the war desk, no doubt having ended up that way when he had left for the night, prone as he was to sudden and grand movements. He stood it upright again and sat down. The mistake of leaving one’s papers out in such a manner, he considered, was that they became indecipherable upon one’s return. There had been a method to the madness, as it were, but now all he saw was a morass of handbills and letters and other such documentation. He gathered it all into a single pile and began again. It had been the grand plan in paper form, he remembered. Creating a vast fortune of damn-near-perfect cash was only the first step. It would need to be laundered, legitimised. While it was true that the threat of discovery was minimal, Mandragon would see to that, any threat could jeopardise things. Somewhere in the collection lay a map with such methods marked, businesses that could be purchased under the table for vast sums of cash with even larger returns. He searched through the papers and found it. Seventeen properties were already marked, but his sojourn into the night fog had allowed him to find a further three before his appointment with Mister Lightly had called him elsewhere. Twenty in total, each chosen in accordance with a strict set of requirements. That would be sufficient. Totalling up the cost, it would take a solid week’s worth from every press at his disposal to make enough of his namesake to reach his goal, or four times working to the normal pattern. The temptation was to throw caution to the wind and have the presses grind themselves into shavings just to get things over with as fast as possible, but the patient knife would cut cleaner. Although it might eviscerate the local economy for a while. The girl was trying, but there was something endearing about the way she spoke. The words sounded like a challenge, a war cry in the face of deference and being a good girl, but there was also a playfulness there too. There was a game afoot, although he suspected they were playing by different rules. ‘Looking for work?’ he said and took the map out of her hands. The girl had talent, but he wasn’t looking to enter the business of flesh, not on the ground floor at any rate. Then again, there were times when charm worked better than coin. He would have to consider it carefully. Although, it had to be said, it was difficult to give it a fair hearing while she was sitting upon his lap. Chief amongst her unsung talents, apparently, was the ability to close upon a person without them noticing. He wasn’t sure if he respected that or feared it, but right now it was making him uncomfortable. ‘You’re very welcome. Now, if you would?’ he said and indicated the door. She slammed the door as she left, as if making a point. It was one he was glad to receive, as long as it meant she was gone. He turned back to the war desk, restacked the pile that had been dislodged by the young lady, and snatched up the map. He pinned it to the wall behind the desk, reasoning that of all the various documents he had amassed this was the only one he needed readily available. A nice reminder of his endgame. But it was an awful lot of money, even if it was to be counterfeit. The thought made him restless. This was his magnum opus, a plan he had concocted over years, iteration after iteration, as he climbed the ladder to his current position at the apex of the criminal underworld. It had started with the simplest of desires: to be free of any and all financial worries. The plot had formed around it, the filth around the pearl. It had been refined and edited and pruned and rewritten so many times that it was truly, completely, unquestioningly flawless. Fool proof. A single, powerful, stunning strike. And yet the more he thought about it the less he believed in it. On a generous day he would find himself essentially in opposition with his own intellect. The plan was too good. No man should be allowed to plan so perfect a crime, fate wouldn’t allow it. It would invent problems purely to spite him, because pulling off something so major so easily would illustrate just how easy crime can be. Everyone would be doing it. On a less generous day, he was a charlatan, a fraud. A good fraud, no doubt there, but still someone who had deluded themselves into believing they were smarter than they in fact were. One of the many, many curses of a superior mind, he supposed, was self critique. Times like this made him envy the slow and the dimwitted. Did their brains rebel so regularly and with such venom? He expected not; that those of diminished intellect worked in tandem with their thoughts, as there wasn’t much room for them to do much else. A soothing, delightful, restful silence. Not at all like the cacophony of viciousness roiling around his head at any given moment. But it was a gift, or so they said, and one doesn’t cast aside a gift lightly. It had served him well, and like a wild beast or a child it could be controlled easily enough if time was taken to learn the techniques. There were moments to heed and moments to ignore the rumblings of his rogue cerebrum. This was a time to ignore it. It would work. A further charm of the McConaughy house was the proximity to people that could best be described as normal. Lucy’s invasion of his personal space notwithstanding, it was helpful to have people around for whom crime was not the norm but something to which they occasionally had to resort. Snide’s life was all about obfuscation, a tiring charade to maintain constantly, and the temptation was to let one’s guard down at home. But the McConaughys were, more or less, good people. They forced him to maintain the charade, which in turn kept him alert, which furthermore kept his brain largely focused on succeeding. Always planning, always plotting, always concocting backup plans and contingencies. Again, remembering this helped to rein in the doubt. Double speed but not weekends, perhaps. That would have the money ready to go in a fortnight. Less time for the gods of fate to fabricate things to go wrong, but not so fast as to alert the Peelers to his plans. It would perhaps put some pressure on Mandragon, but he could handle it, surely. He got to his feet and the chair fell over again. It was becoming a tradition – how many times did something have to happen to truly be counted as a tradition, anyway? – and leaving it there caused harm to no-one but those learned in the mystical arts of furniture arrangement. Another cigarette found its way to his mouth. It would be the final one of the day, these ones always were. A herald sent from the sandman, a message that now would be a good time to put ones affairs in order just in case tonight was the night. The long night. He made for his bedroom, which had suffered for the size of the sitting room. It managed to house a double bed and a wardrobe, but had the door not opened outwards then one would never have been able to enjoy them. Snide had been mystified as to how, exactly, the McConaughys had managed to install such furniture, and had settled upon the idea that they had built the room around them. Or at least installed the wall after the furniture was in place. However, the size made the room feel restful. It put him in mind of a cabin on a ship – small and cramped but also devoid of the noise of things. It was orderly and somewhat insulating. A rest for the senses. The final cigarette burned down to a stub as he climbed into bed, dropping the room into darkness. The doubts were louder in the dark, for a time, but they would quieten. And then, sleep. He had a busy day on the morrow.